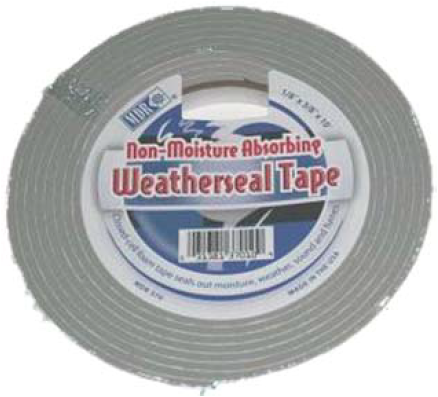 Strong, white vinyl tape is impervious to weather and abrasion. Conforms easily to turnbuckles, life-line fittings, spreader ends and dozens of other applications. 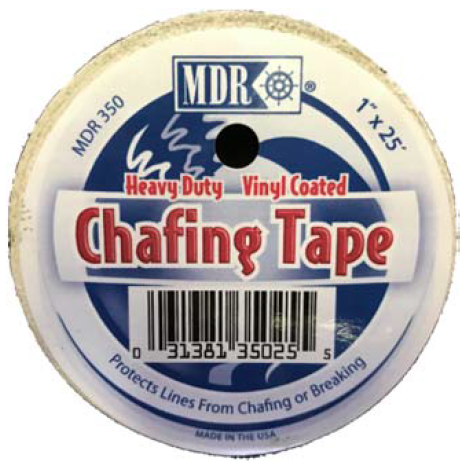 Ideal for protecting dock lines, mooring lines, rigging, etc. Developed to withstand salt water. 12 mils thick, yet soft and pliable. Will not crack. 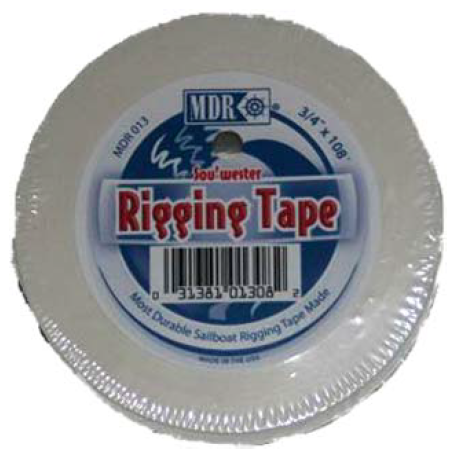 Great for boat decks, ladders, stairs, cabin floors, shower stalls, etc. Self-adhesive, weather and water resistant. Available in three widths. Easy to apply. 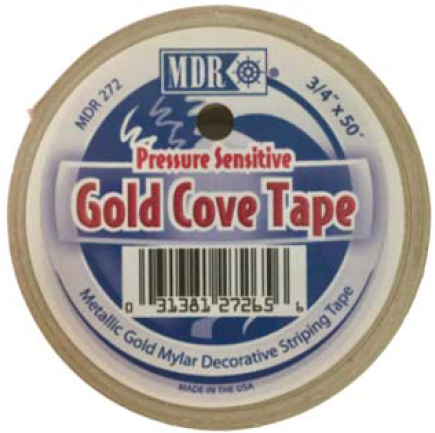 Pressure-sensitive gold Mylar tape gives a highly decorative cove stripe easily and quickly. Salt water resistant acrylic adhesive. 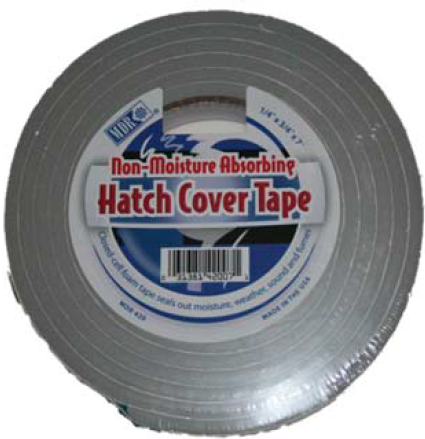 PVC foam .125” thick tape is ideal for cushioning windows and doors. Absorbs shock and eliminates vibration. Prevents metal to metal contact. 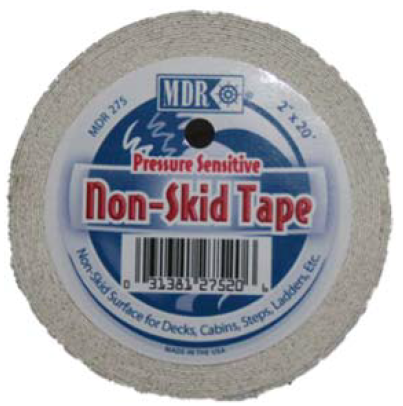 Extra thick .25” foam tape designed to seal out the elements on hatch cover rims. Pressure sensitive adhesive gives excellent bond. Resists salt water and oxidation. 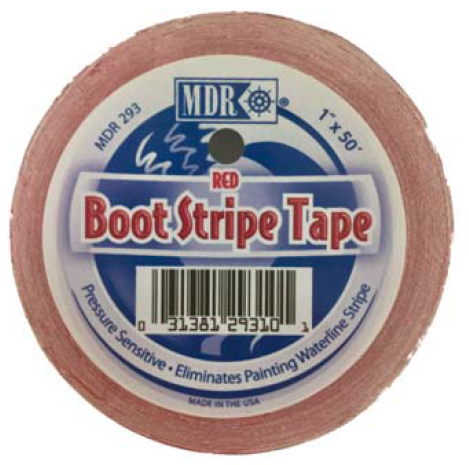 Solid color striping tape for marine applications such as waterlines and decorative accent stripes. Available in four popular colors and three widths.